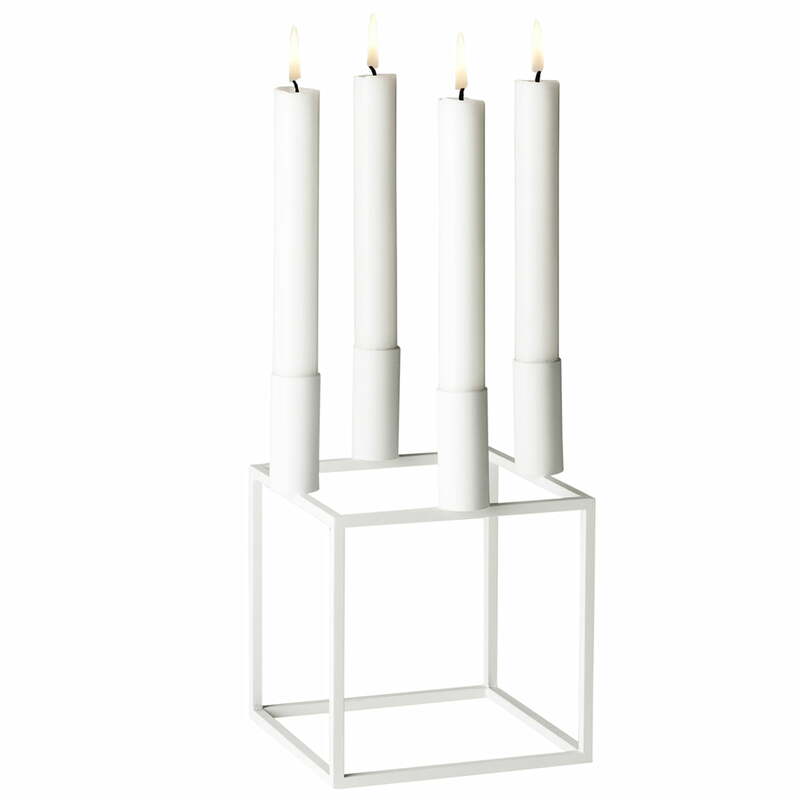 With a good sense for contemporaneous, functional style, Mogens Lassen designed the iconic Kubus candleholder in 1962. Mogens Lassen had already been working on the Kubus candleholder long before the form that we know since 1962 emerged. The known architect and designer might have suffered from dyslexia – but his sense of proportions and mathematics were flawless: Every single Kubus is constructed with great accuracy and a precise aspect ratio. Lassen left absolutely nothing to chance. 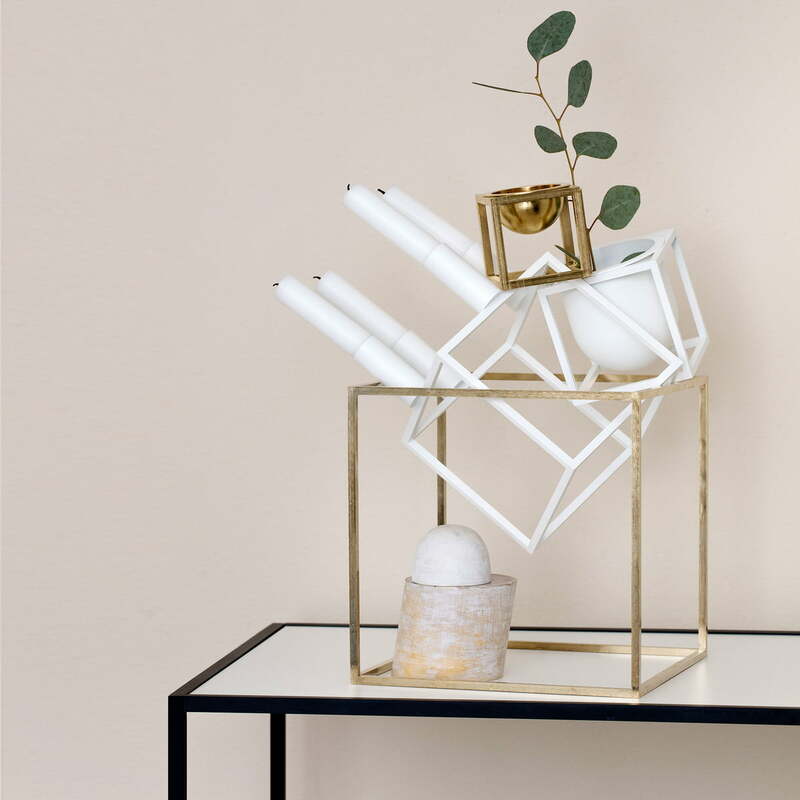 Made by local craftsmen in Ordrup, the geometric Kubus candleholder was originally created as a small series of one-off pieces for Mogens Lassen's family and close friends. The experiment with forms and functions however, ended up in a collection of products that became iconic in modern design amongst architects and design-enthusiasts. 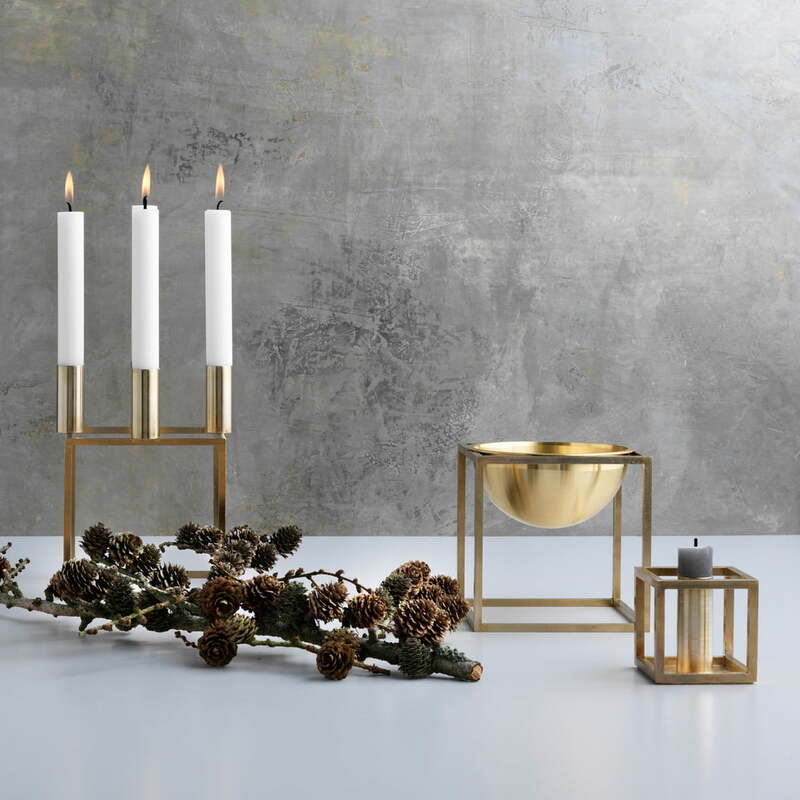 Today the Kubus 4 candleholders are still made by experienced craftsmen in the Danish Holstebro and thereby represent real Danish craftmanship. The candleholders from by Lassen are made of lacquered or copper-plated steel and are available in different versions. 4 of 5 customers have found this review helpful. Bought this at Christmas time when Connox had a special deal. It's very elegant and timeless. Super happy with this and glad I've discovered By Lassen products. 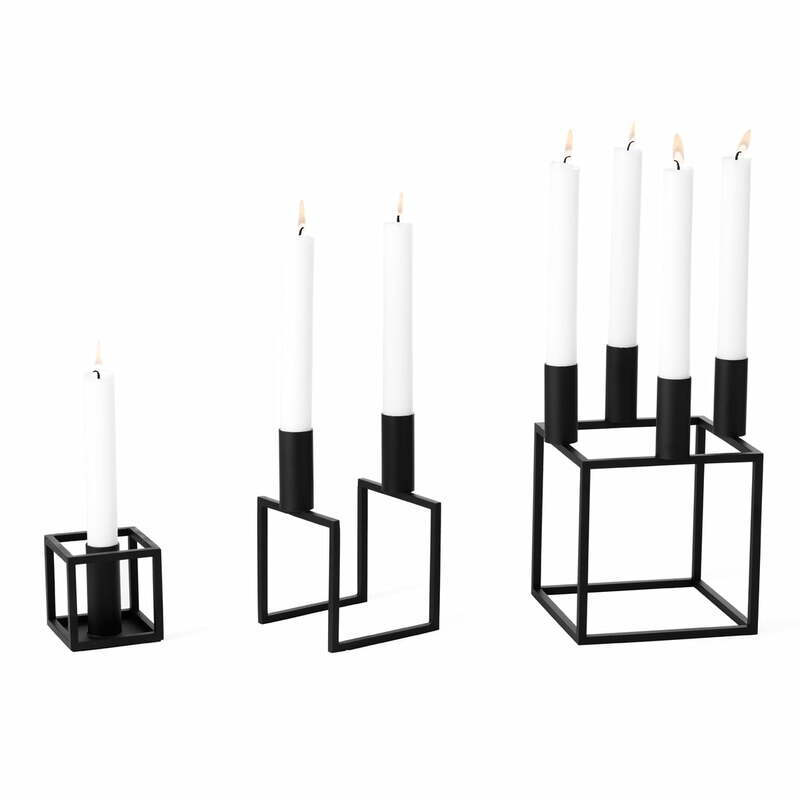 Group product image of the Kubus 4 with candles (15 pieces) from by Lassen. The offer for the festive Advent season is limited in time and valid only stocks last. Mogens Lassen originally designed something as a present for family and acquaintances. This developed into an entire series, which is still moderns and popular internationally today. The Kubus collection of by Lassen made of brass includes different products, which are all characterised by a precise geometry. The collection includes candleholders and bowls in different sizes. In the living area the geometrical shape of the by Lassen - Kubus 4 seems minimalistic and elegant. 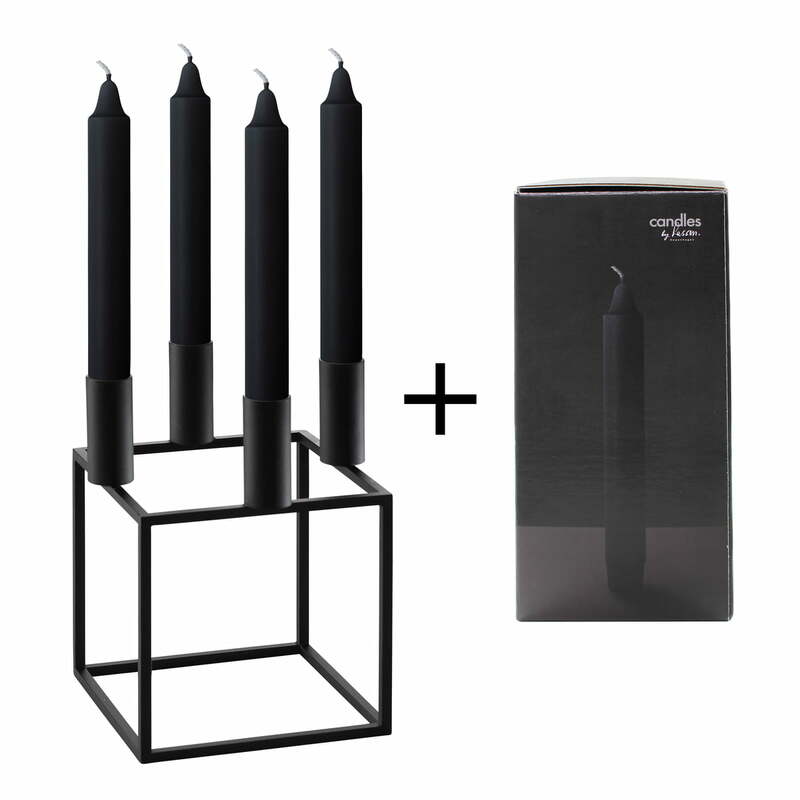 The black is especially striking in contrast with white candles. The different heights of the Kubus candleholders allow you to combine then as tiered light sources. The candlelight beautifies every room in every season. A harmonic atmosphere achieved by the Kubus 4 in copper, the Kubus bowl in black with the ML42 stool in black. Timeless furnishing for several generations. The geometric narrow design does not block the view and is elegant and functional. 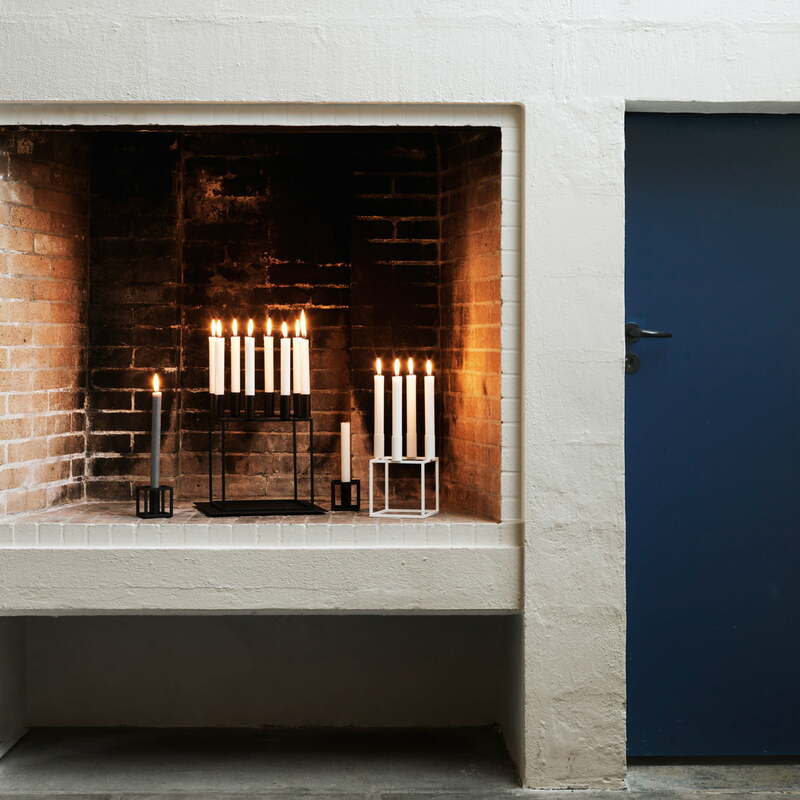 Mogens Lassen’s design was originally reserved for only friends and family. 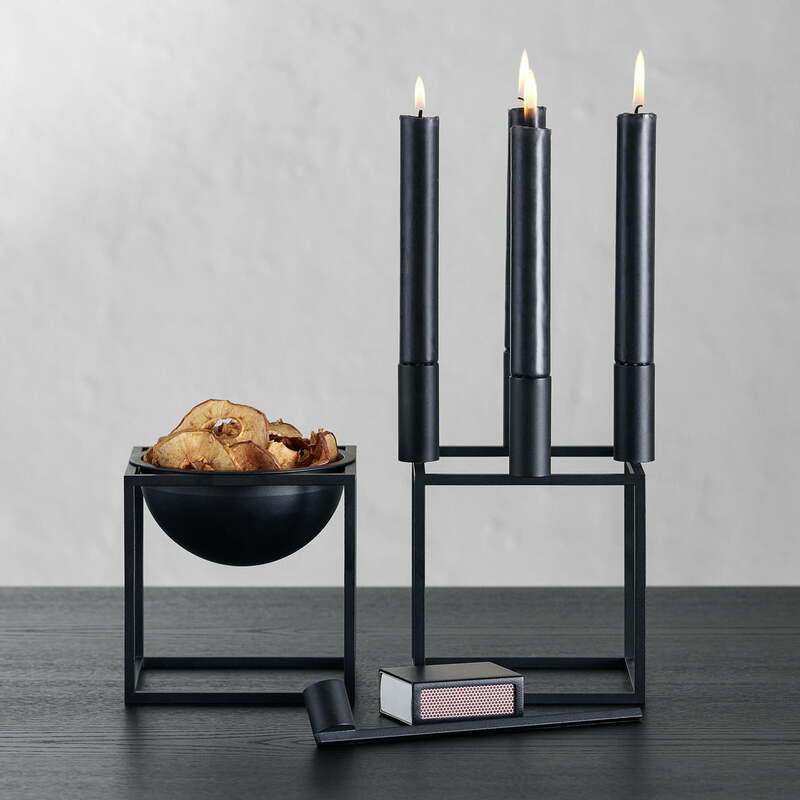 Lifestyle product image of the Kubus snuffer: Annoying wax stains that occur when blowing out candles can be avoided with the Kubus candle snuffer in lacquered metal black from by Lassen. 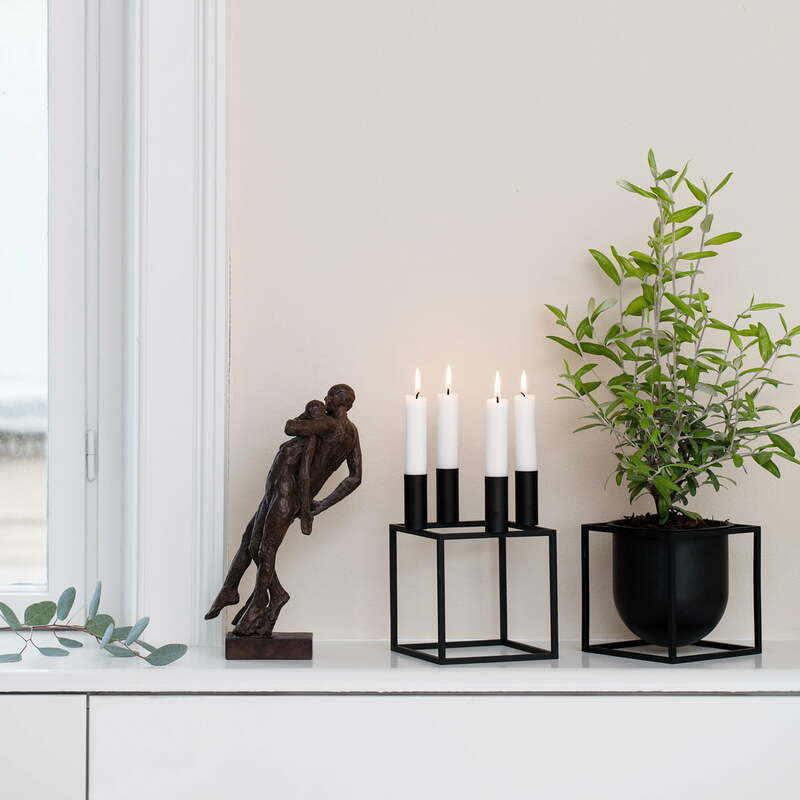 The Kubus Flowerpot and the Kubus 4 by Lassen in black in the ambience view. Flower pot and candle holder complement each other perfectly on the sideboard.